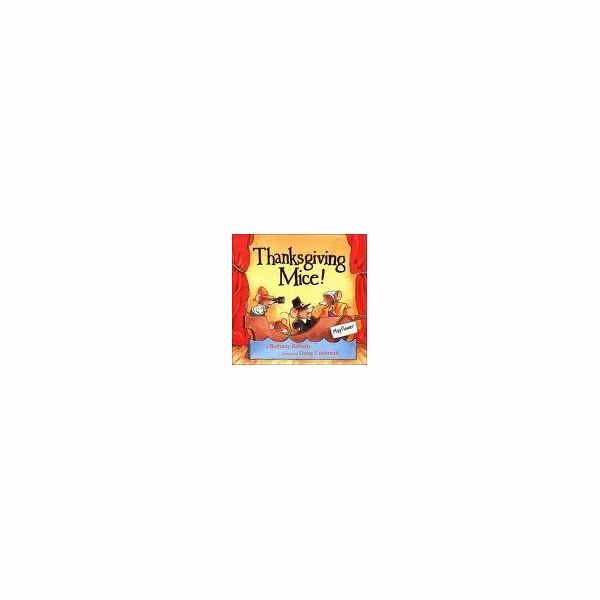 Thanksgiving Mice by Bethany Roberts is a quick read about some Thanksgiving Mice that put on a Thanksgiving play for their friends. It gives a quick and simple explanation of the first Thanksgiving. Of the two books we are using here, this is a good one to begin with. It's a quick way to introduce the class to why we celebrate Thanksgiving. To begin the discussion about the pilgrims and their travels to the New World, ask your students to share what they feel was difficult about their journey. They may mention leaving their homes to travel, the long trip, how the pilgrims were hungry and sick on the ship, and had a hard time even when they landed on Plymouth rock. Then, move to talking about what helped make their stay in the New World better. Discuss their friendly visitors and how they helped the pilgrims adapt to their new life. Pilgrim Cat by Carol Antoinette Peacock takes a more historical look on the first Thanksgiving, yet because it tells the story of a cat who stowed away on the Mayflower, it is appealing to children. Before reading the story, read a bit of the dedication where the author shares the story she learned about how cats would sail with the pilgrims. The story begins with the Mayflower leaving port for the New World and Faith discovers a cat has jumped aboard. The cat was named Pounce and Faith befriends the cat and they help each other endure the many challenges of the voyage from England to the New World. Once the pilgrims land and build their new homes, they encounter the Natives. Fearful at first, the pilgrims soon learn that the Natives know a great deal about hunting and growing crops. This leads to a great feast and the first Thanksgiving celebration, with Pounce the cat along the entire time….with a bit of a surprise. One of the first things to help your class understand the significance of Thanksgiving is to help them see how far the pilgrims traveled to come to the New World. Using either a world map, show the class how long the trip was. If you can permanently hang the map, you can put a push-pin in England and near Plymouth, and maybe even connect a piece of string between the two to show the distance. Help your young students really understand the distance by comparing it to comparable trips they may have made. Also, share how when we take trips today, we are in air-conditioned cars with DVD players and hand-held games. The pilgrims’ trip was far less luxurious. The sickness and lack of food left many in bad shape as they made their journey. 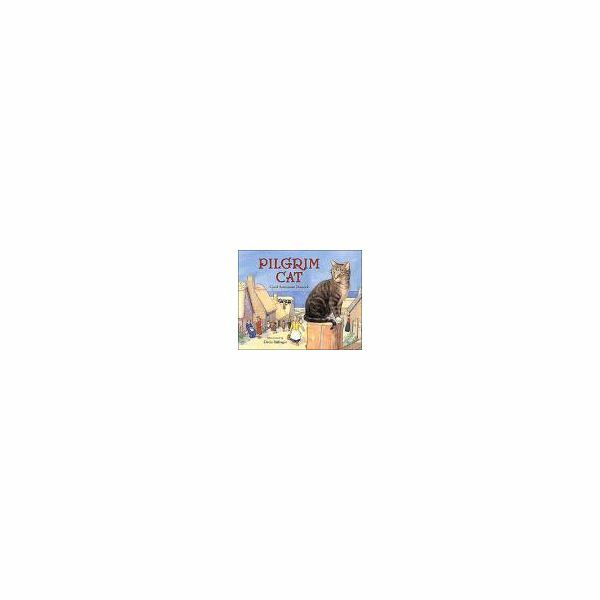 Discuss with the class the reference in the book Pilgrim Cat where Faith became very ill during her journey. Use some large pieces of brown butcher paper to make your own version of the Mayflower. Hang it on the wall and allow your students to use it during free play to pretend they are taking the journey to the New World. This gives the class a chance to take what they have learned and put it into their imaginative play. The Natives came to help the pilgrims and showed them how to hunt and grow food. They celebrated their new crops by throwing a giant feast to show their thankfulness for the help they received from the Natives. Invite parents to join your class for a feast. Make it as elaborate or as simple as you want. Have the children make invitations, place mats, and decorations for the classroom. Provide a little entertainment with a few Thanksgiving songs and finger plays. For a fun activity, discuss some of our favorite foods to eat at Thanksgiving. Turkey will inevitably come up. In light of limited writing abilities, have students share with you, a parent volunteer, or with a parent at home how they would prepare a turkey for Thanksgiving. Have the adult write down the “recipe” and then have each student decorate a page to glue their recipe to. These will surely be enjoyed by their families as they gather for Thanksgiving dinner and reflect on what they learned about the first Thanksgiving.